Space was at the center of America's imagination in the 1960s. President John F. Kennedy's visionary statement captured the mood of the day: "We choose to go to the moon in this decade and do the other things, not because they are easy, but because they are hard." The Apollo mission's success in July 1969 made almost anything seem possible, but the Cold War made space flight the province of governmental agencies in the United States. When the Apollo program ended in 1972, space lost its hold on the public interest, as the great achievements wound down. Entrepreneurs are beginning to pick up the slack-looking for safer, more reliable, and more cost effective ways of exploring space. Entrepreneurial activity may make create a renaissance in human spaceflight. The private sector can energize the quest for space exploration and shape the race for the final frontier. Space entrepreneurs and private sector firms are making significant innovations in space travel. They have plans for future tourism in space and safer shuttles. 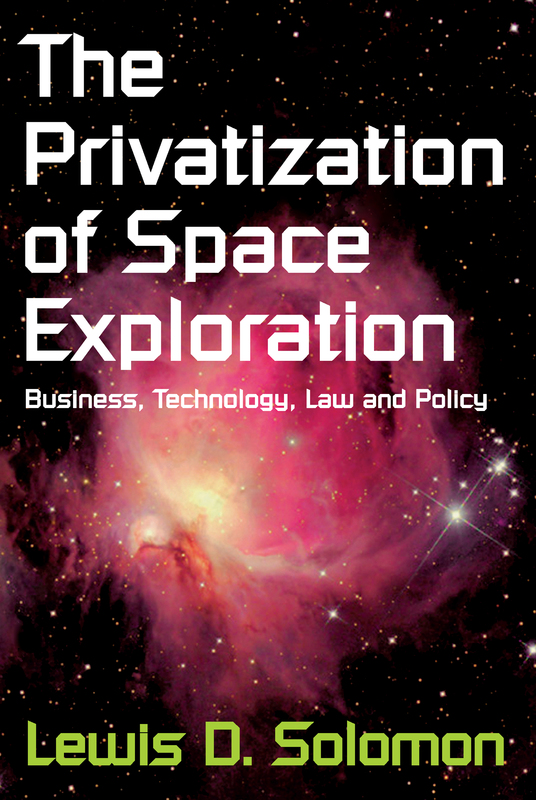 Solomon details current US and international laws dealing with space use, settlement, and exploration, and offers policy recommendations to facilitate privatization. As private enterprise takes hold, it threatens to change the space landscape forever. Individuals are designing spacecraft, start-up companies are testing prototypes, and reservations are being taken for suborbital space flights. With for-profit enterprises carving out a new realm, it is entirely possible that space will one day be a sea of hotels and/or a repository of resources for big business. It is important that regulations are in place for this eventuality. These new developments have great importance, huge implications, and urgency for everyone. From Space Travel Broker to Joint Venturer: Space Adventures, Ltd. The Quest to Reduce Launch Costs: Space Exploration Technologies Corp. Developing Space Habitats: Bigelow Aerospace Inc.